Let's just say I love going potty...LOL! 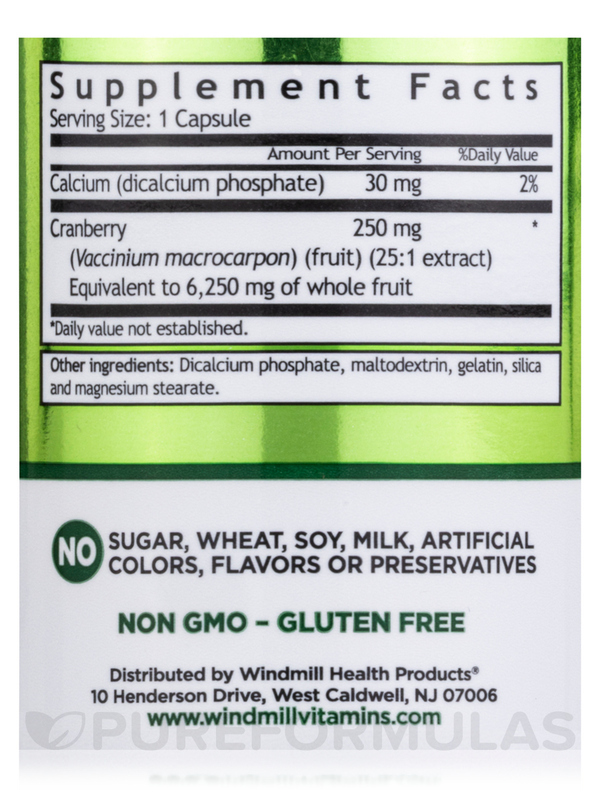 Cranberry Extract by Windmill is a great supplement. I ordered Cranberry Extract 250 by Windmill for my dad. Very good product and comes pretty fast. It is hard to find a 250 mg that he needs. Always find here though. I recommend PureFormulas to everyone! I bought Cranberry Extract 250 mg by Windmill for my newly wed sister-in-law to have on hand just in case. It seems to be a good quality product for the price. 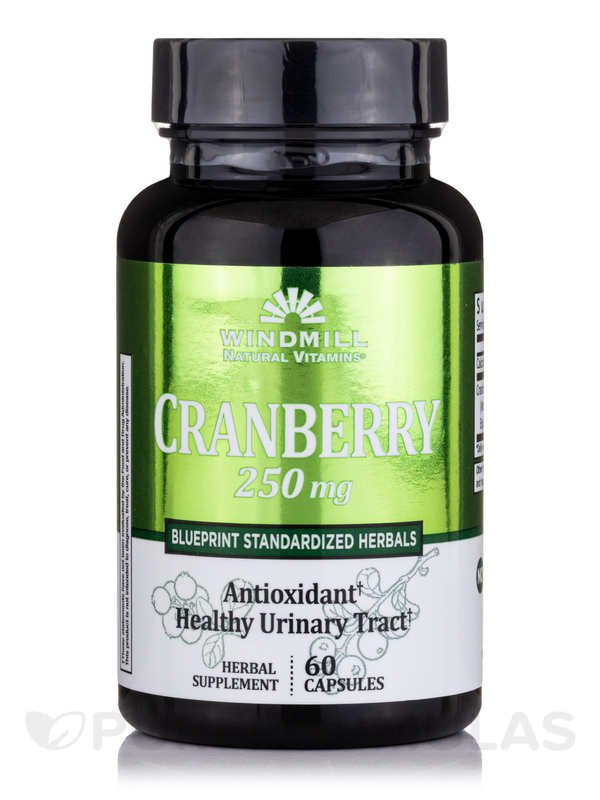 Cranberry Extract 250 mg - 60 Capsules from Windmill™ is a herbal supplement that may help promote health of the urinary tract. Researchers claim that cranberry extract may boost various systems in the body. Clinical studies report that cranberries possess unique compounds that contain an Anti-Adherence Factor‚ which could bolster urinary tract health and function. This dietary supplement from Windmill™contains a herbal cranberry extract that ay enhance health of the urinary tract. Traditional people believe that certain chemicals in cranberries may minimize the possibility of bacteria attaching itself to the cells in the urinary tract. If the bacterium attaches itself to this lining‚ it may multiply and grow‚ which could hamper overall health and vitality. Cranberry extract also contains salicylic acid‚‚ which may potentially alleviate inflammation‚ minimize blood clots‚ and possibly improve well-being. 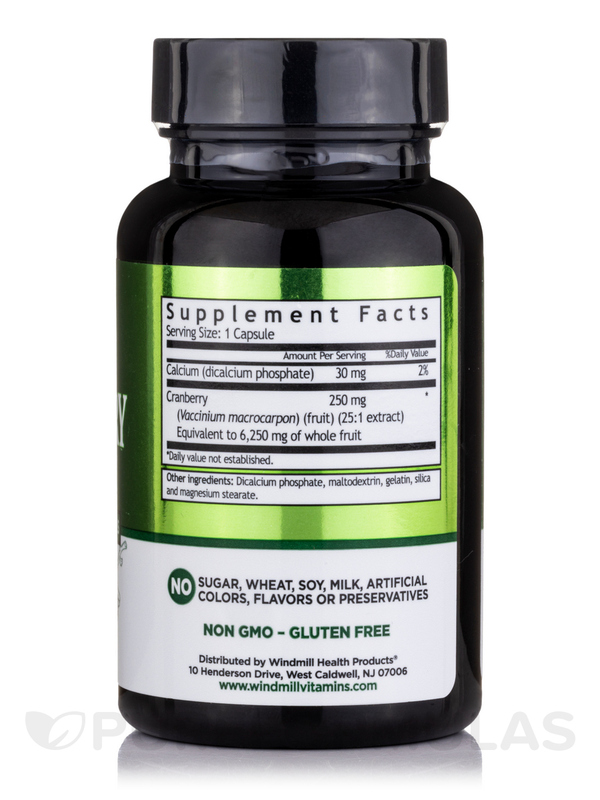 This supplement is free from artificial colors‚ flavors and preservative. 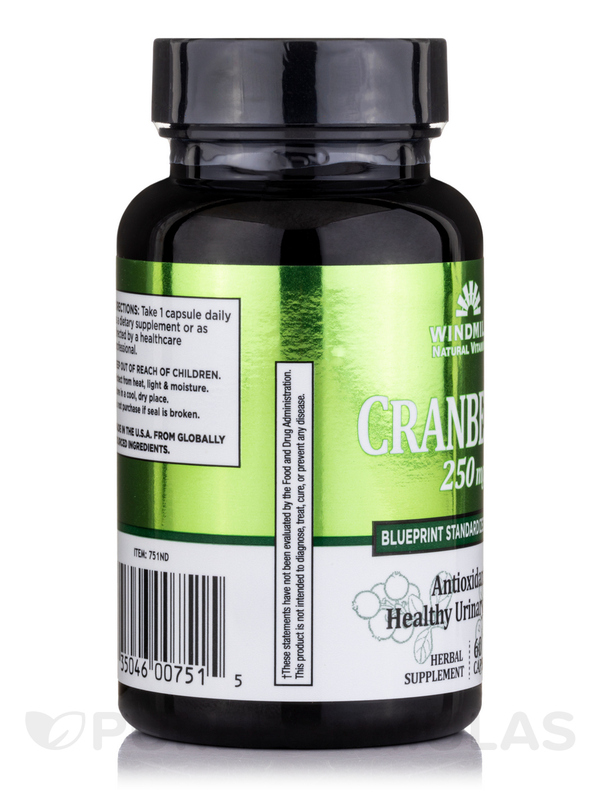 Get Cranberry Extract 250 mg - 60 Capsules from Windmill™ that may potentially enhance urinary tract health and function. Other Ingredients: Dicalcium phosphate‚ maltodextrin‚ gelatin‚ silica and magnesium stearate. No sugar‚ wheat‚ milk‚ soy‚ artificial colors‚ flavors or preservatives. 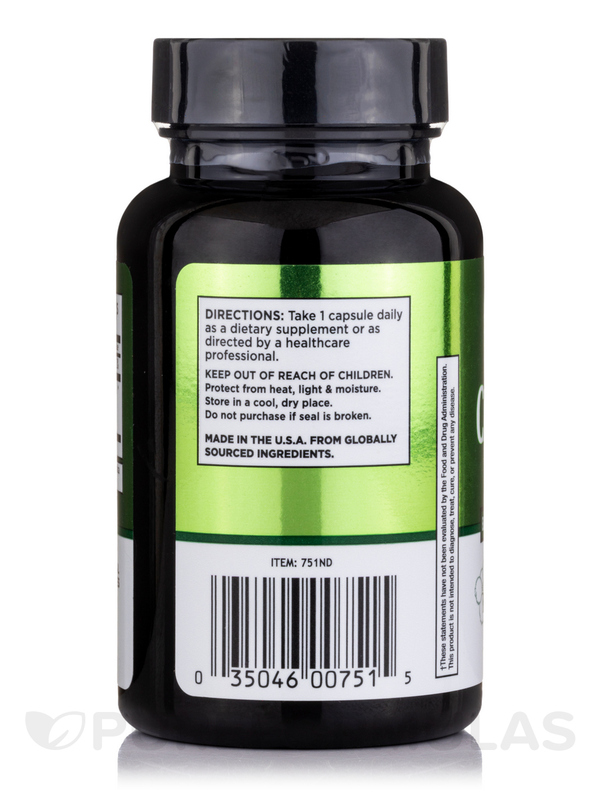 Take one capsule daily as a dietary supplement or as directed by a healthcare professional. Keep out of reach of children. Protect from heat‚ light and moisture. Store at 15-30° C (59-86° F). Do not purchase if seal is broken. Pregnant or lactating women should consult with their physician prior to taking this product. Good product, and great price. Exactly what my dad needs. Great Cranberry supplement and it has replaced my normal remedy. I use Cranberry Extract by Windmill daily! Low cost, easy to swallow, still continuing to ward off UTI's. I like Cranberry Extract entirely!